There were many things I learned with my adventure to the State House last week as I visited with a few of our local delegates, shadowing them to discover what a typical day is like for a legislator (read page 8). I went with a set plan and agenda in mind regarding the exact times and location I would meet each of them. But that all changed the moment I walked into the door. I quickly discovered that if there is one personality trait required of a legislator, that would be the ability to be adaptable and accommodating. Although adaptability during legislative sessions happen at a quick pace, there is a little flexibility required in everyday life. For every set agenda or focus goal, there is always something that is thrown in our way, interrupting our concentration and requiring us to adjust our sails. Here in North American where the largest number of oak tree species can be found, the acorn and oak tree analogy (acorn inside holds the seed of a mighty oak tree potential) is what we use to remind us that we all have great potential within us. 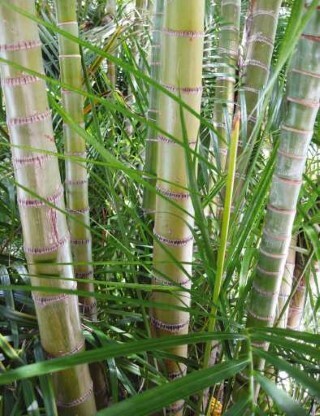 Many Asian countries, where bamboo profusely grows, have their own comparison tale. Flexibility is not the only thing that impresses me about bamboo. It has great versatility as well. Besides wood and paper products, bamboo is used in clothing, can be made into wine, eaten as food, used in steering wheels, bikes, helmets, in medicine, and much more. It’s amazing to me that with this level of adaptability, how much is offered and available. Maybe the next time life throws you or I another curve ball, we can imagine that we are bamboo swaying in the wind. And if that doesn’t work and frustration persists, we could imagine to be in a giant tilted pinball machine. You laugh, but – who knows – maybe machine is tilted in our favor.